President Kenyatta attacks Ali Chirao Mwakwere over Kwale minerals and branded him Corrupt. - Bana Kenya News, Real African Network Tubanane. Home Mombasa President Kenyatta attacks Ali Chirao Mwakwere over Kwale minerals and branded him Corrupt. President Kenyatta attacks Ali Chirao Mwakwere over Kwale minerals and branded him Corrupt. President Uhuru Kenyatta turned his bitterness to the former Matuga Mp Ali Mwakwere who has been criticizing the Jubilee government as corrupt and interested in Minerals in Kwale. 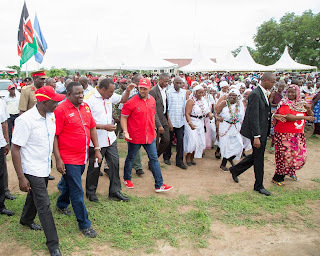 Speaking at LungaLunga in Kwale County, President Kenyatta rubbished claims that he needs the votes of the county in order to enrich himself through the Minerals discovered. He said Mwakwere should respect himself and stop making unfounded claims about the Jubilee leadership. “He has been going round and claiming that Salim Mvurya (Kwale Governor) joined Jubilee to steal the resources of Kwale people,” said the President. “Stop the propaganda because we can expose you easily since we have your records. Do not forget that we have all the records of all previous governments and we know what you are,” stated the President. 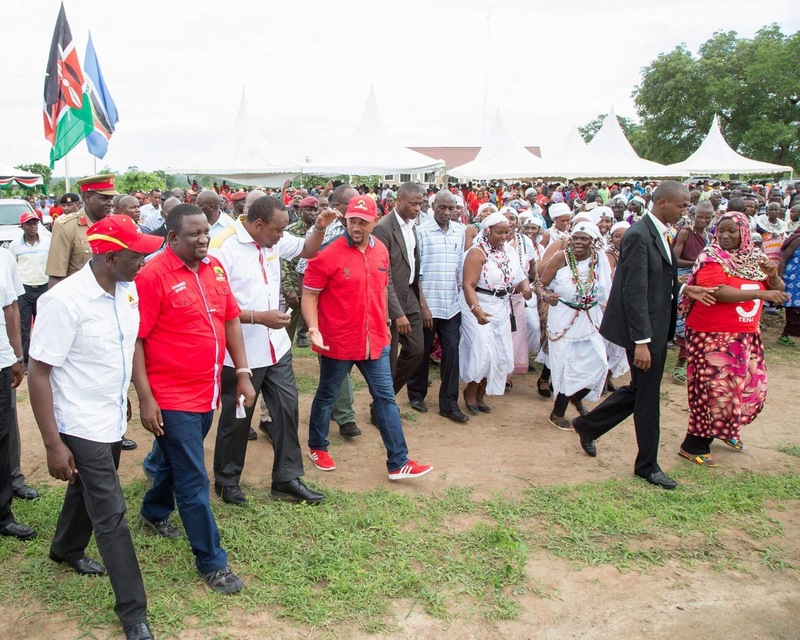 President Kenyatta, Deputy President William Governorovenor Mvurya and other leaders who spoke during a rally at Lunga Lunga described Mwakwere as an ungrateful person. "After the people of Kwale rejected Mwakwere as Senator in 2013, I appointed him as an ambassador to Tanzania." He said. “Minerals will not be taken from Kwale County without the due process being followed and without taking into consideration the interest of the people,” said the DP. They were speaking after launching the construction of the Lunga Lunga to Vanga Road, which perennially posed transport challenges for area residents. Kenya National Union of Teachers Chairman Mudzo Nzili spoke at the rally and cautioned the opposition against creating false narratives about the education sector. He said there have been attempts to make false claims that some schools have not received funding from the government. He said such reports are unfounded and any institution with a problem should contact the union or reach the Education Cabinet Secretary Fred Matiangi. Mr. Nzili also rejected attempts by the opposition to create similarly false stories about the TSC not implementing the CBA with teachers. “I want all peace loving Kenyans and even the politicians who like threatening Kenyans with the chaos that the CBA is being implemented,” said Mr. Nzili. The people from Vanga and LungaLunga agreed to rally behind President Kenyatta with the County Governor Salim Mvurya in the coming elections. Lunga Lunga MP Khatib Mwashetani said the people of Kwale have benefited from the development initiatives of the Jubilee Government.